The call comes from Graham Stuart, the chairman of the Commons Education Select Committee. He says applicants should not be "short-changed by incomplete or inaccurate advice". The group lists certain A-levels as good for keeping options open. This is often interpreted as a list of "preferred" or "facilitating" subjects and England has a new school league table measure based on how many pupils take three of them. But research carried out by Laura McInerney for the education think tank LKMco found that the picture was complex, with some subjects not on the list appearing to help applicants get places. It involved asking the UK's Russell Group universities (excluding Oxford and Cambridge) for data under the Freedom of Information Act on the number of people applying to popular courses with a particular A-level subject and what proportion got in. The Russell Group, which represents 24 of the UK's leading universities, has cast doubt on the usefulness of the research, saying it does not take into account the combination of subjects a student has taken. It also added that it had never said pupils needed to have three of the subjects, only that doing two would "keep options open". The research concluded that drama and economics were a good bet for students wanting to take an essay-based subject at a Russell Group university, even though they are not on the list of facilitating subjects. "Even subjects as diverse as accounting, art and design, and psychology have topped the success charts," writes Laura McInerney. "The 'three facilitating subjects' measure is dangerous," she said. "It sets up a list of... subjects as being 'facilitators' when the reality is much more complex. Preferences differ across subject, across university, and will depend on the student." In a letter to the Russell Group, Mr Stuart said: "Young people need access to reliable information, to help them make the best possible decisions about their subject choices at A-level - and about the degrees their talents may equip them to take. "It is vital that organisations like the Russell Group supply high-quality guidance, backed up by reliable statistics. "Applicants to our best universities should not be short-changed by incomplete or inaccurate advice." The Conservative MP asked the group what research it had produced on this issue - and said if none existed the group should commission some. The document says some university courses may require particular subjects and some may not, but that the list is useful for pupils who want to "keep their options open". 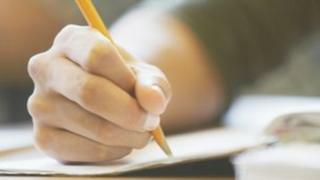 The list was used as a basis for a new league table measure introduced this year, which gives the proportion of pupils who achieved three A-levels among the facilitating subjects at grades AAB or higher. Wendy Piatt, director general of the Russell Group, said: "Hundreds of courses require one or more facilitating subjects. "Clearly many students will study a combination of facilitating and non-facilitating subjects. It is impossible to draw any meaningful conclusions from looking at individual subjects in isolation without knowing the range of subjects a student has taken or what grades they achieved. "The author herself acknowledges that the figures do not allow her to see combinations of A-levels and her analysis ignores achievement which is clearly a hugely important factor in admissions to selective institutions."